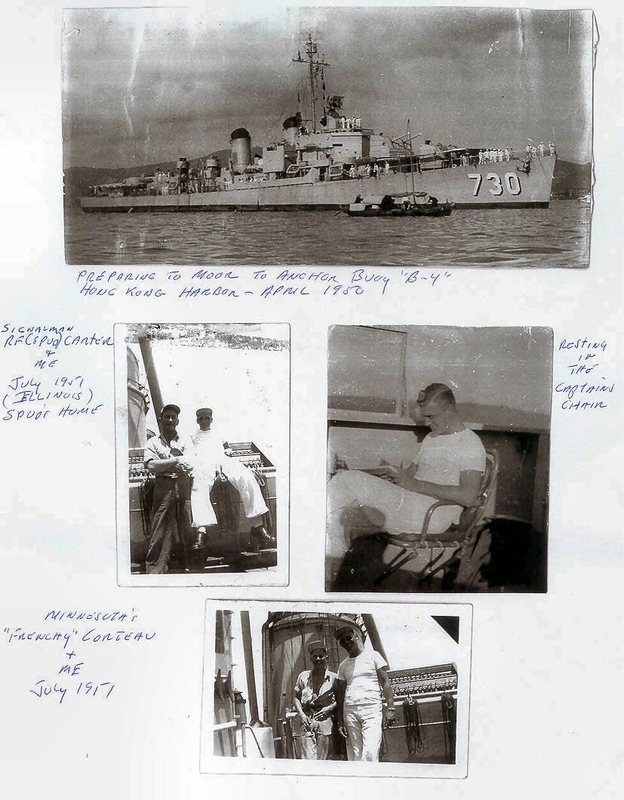 Ensign Dyer (spelling could be wrong), QM Seaman Bob Whitt, and SA Radioman A.S. Debeck. These pictures were sent to Bill Kephart by George Styles. 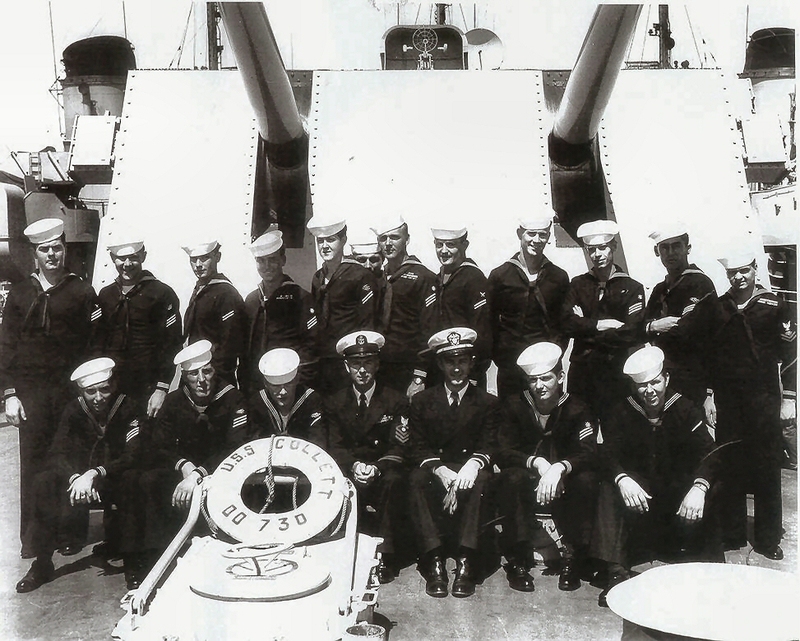 They're both unsure of the names of the individuals and would like some feedback if anyone recognizes themselves or a shipmate. The names are the "best guess" of Bill and George. If you know any names send them to collett@lin-m.com.